Dr. Felix Adler is a board-certified radiologist based in Mountain View, California. He graduated from the Yale University School of Medicine and then completed his internship at the Brigham and Women’s Hospital. He also did his residency in Radiology and a fellowship in Neuroradiology at the UCSF Medical Center. 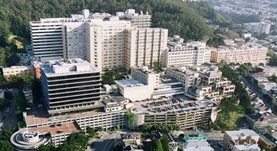 Dr. Adler has about 20 years of clinical experience and is currently associated with the UCSF Medical Center. He has also contributed to several research papers. Dr. Felix Adler has contributed to 3 publications. Intraosseous CSF fistula in a patient with Gorham disease resulting in intracranial hypotension. Adler F, Gupta N, Hess CP, Dowd CF, Dillon WP,; AJNR Am J Neuroradiol. 2011 Dec .
A translocation causing increased alpha-klotho level results in hypophosphatemic rickets and hyperparathyroidism. Brownstein CA Adler F Nelson-Williams C Iijima J Li P Imura A Nabeshima Y Reyes-Mugica M Carpenter TO Lifton RP ; Proc Natl Acad Sci U S A . 2008 Mar 4 . Systematic comparison of perfusion-CT and CT-angiography in acute stroke patients. Tan JC Dillon WP Liu S Adler F Smith WS Wintermark M ; Ann Neurol . 2007 Jun .